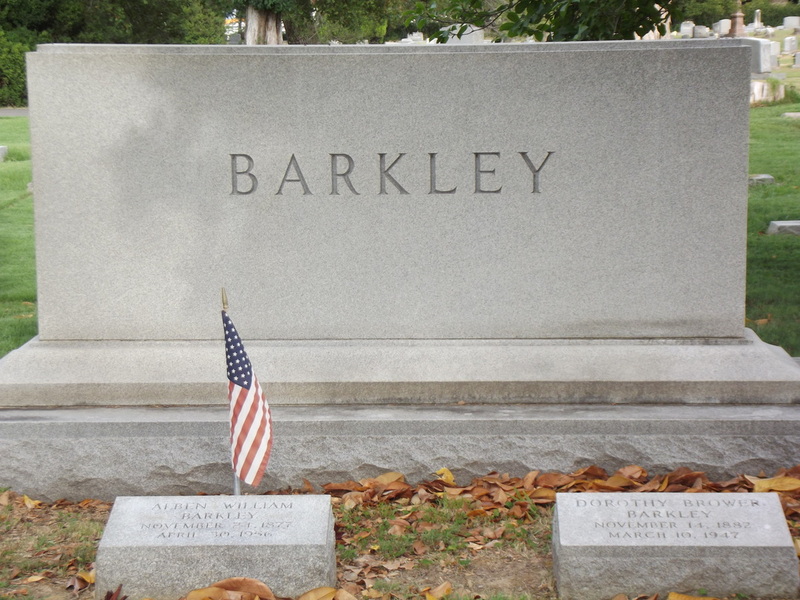 Barkley was the 35th Vice President, serving under President Harry S Truman. 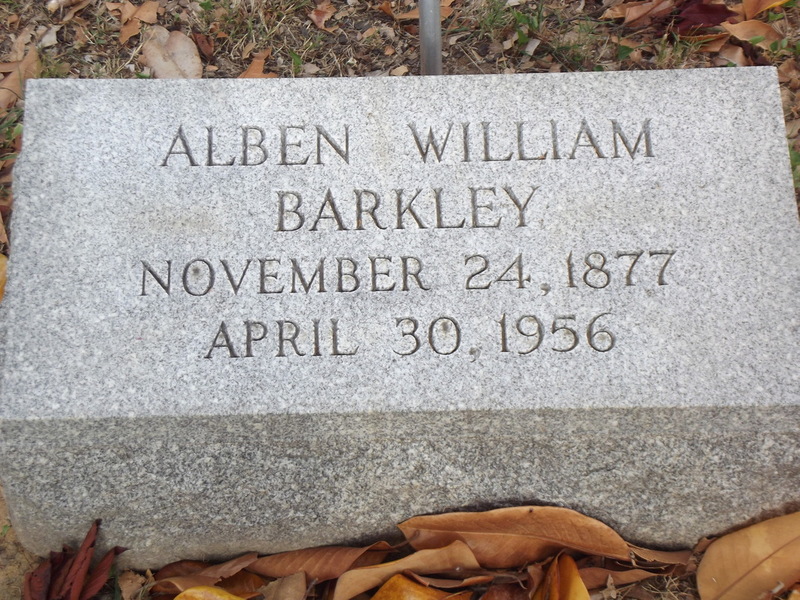 Barkley's tombstone can be challenging to find, as the cemetery is not marked in the traditional way - as in, having a lot number on a stone somewhere visible. Instead, each area is "named" after someone famous who is in the cemetery ... except, not someone who is in that area! Unless you're lucky and there's someone in the office, it may take you some time to find this one. He's close to the road, though.